Immaculate Heart of Mary Parish traces its roots back to 1870 when St. Mary Mission Chapel was built on West Oak in the Musson-Maringouin area. The mission was served by Sts. Peter and Paul in Lobdell, St. John the Baptist in Brusly, and St. John the Evangelist in Plaquemine. The original St. Mary Mission Chapel was soon destroyed by a storm, and a new chapel was constructed where the current church cemetery is located. The new chapel was dedicated on May 23, 1893, and it served as the parish church until 1972. During the early part of the 20th century, the mission would be placed under the pastoral care of two parishes, Sts. Peter and Paul in 1900 and St. Joseph in Grosse Tete in 1906. In 1964, the mission chapel became a parish under the title of Immaculate Heart of Mary, with Father James Kinkead as its first pastor. As the parish grew, the need for a new church became clear. This growth led to the purchase of five acres of land in 1969, on which was located an antebellum plantation. The plantation house was converted into a parish center and work began on a new church. The current church was dedicated on June 23, 1974 by Archbishop Philip Hannan of New Orleans. 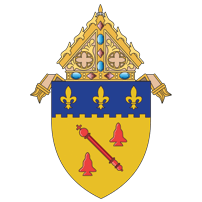 In 1996, the parish was clustered with St. Joseph in Grosse Tete and placed under the pastoral care of a single pastor, Father (now Bishop) Shelton Fabre. In 2004, St. Frances Xavier Cabrini in Livonia joined the cluster.